All images © Anna Gustafsson reproduced with kind permission. 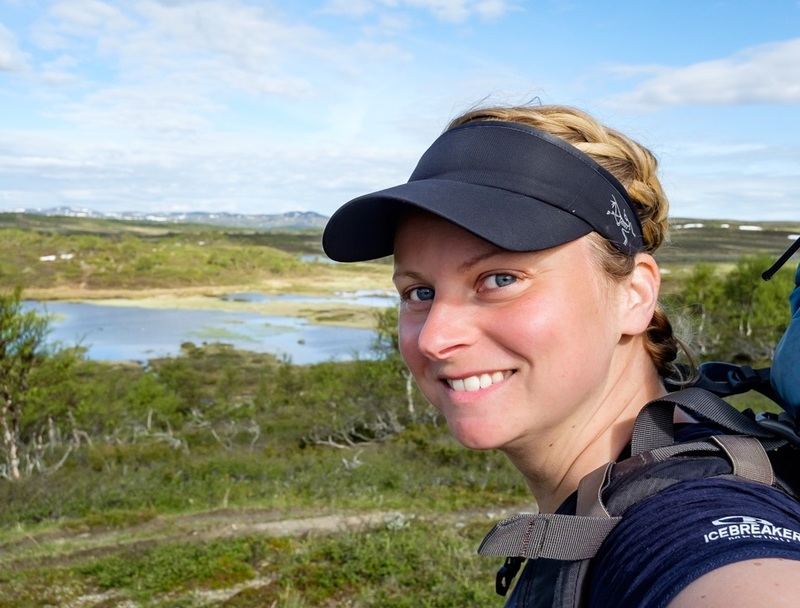 Last year, I interviewed Anna Gustafsson, just as she was about to embark on a 1400km solo hike from Sweden, up to the Arctic Circle in Norway. I recently caught up with Anna to find out how the hike went, if she made it all the way, and to find out what effect the hike had on her, both physically and mentally. When we last spoke, you estimated your hike would take around 80 days to complete. How long it take you? And did you make it all the way up to Trerikröset in the Arctic Circle? It took me 67 days in total to make it all the way to Treriksröset. I had an additional day of around 30km to reach road, where friends picked me up. The main reason that I managed to do it faster, was that I simply couldn't have predicted that I would become that strong with time. In the end I easily walked 30-35km each day. I started with 15-20km a day, and had estimated to walk on average around 20km a day including resting days. 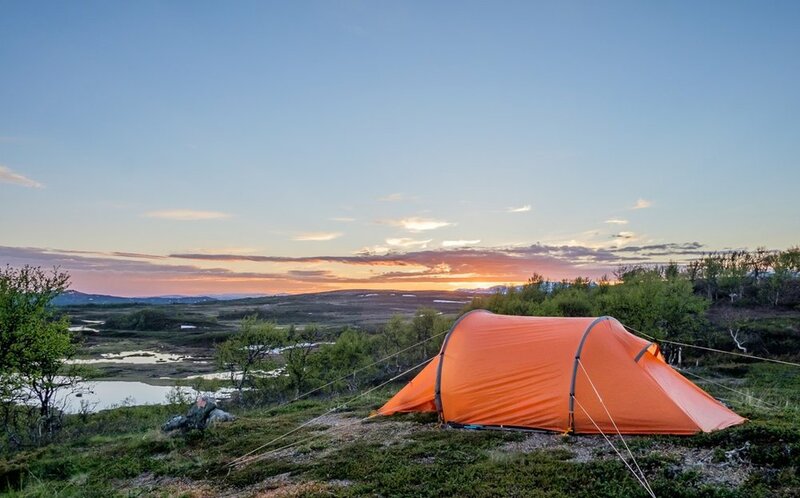 How often did you manage to sleep in a hut (rather than your tent) and did it make a big difference to the amount of sleep you got? This question implies that sleeping in a tent is somehow worse, or something I wanted to avoid. The opposite is actually more accurate. The first night in a tent I tend to wake up every now and then, I guess that is often the case in a new environment. But after a few days in a tent, it is sleeping indoors that is a problem. Indoors it is warm, there is no fresh air and beds tend to feel too soft. I actually declined offers to sleep indoors to get enough sleep. With that said, I slept 43 nights in a tent. I had 10 resting days, so 20 of the nights indoors where connected to resting days. The last section from Abisko to Treriksröset is mostly in Norway, where DNT (the Norwegian Tourist Company) has beautiful cabins every 20-25km. 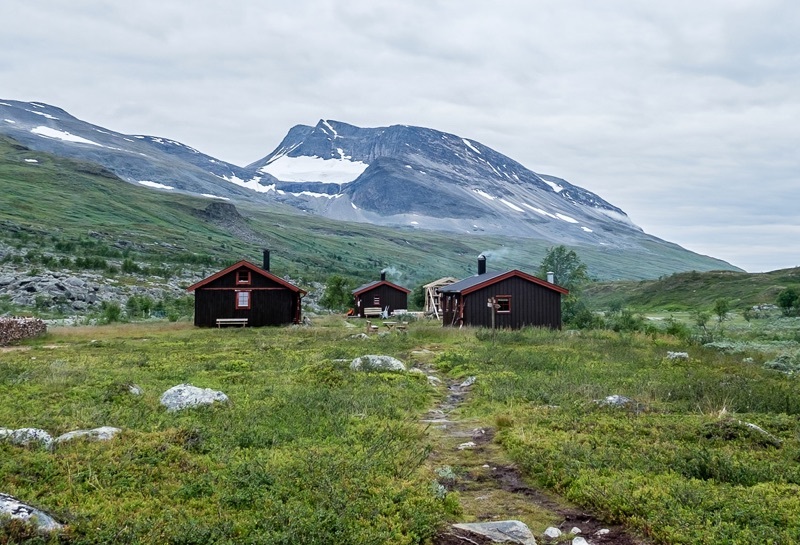 These cabins have no water or electricity, and are only seldom close to roads. Situated in the middle of the mountains, often with a beautiful view, and the possibility to light up a fire and perhaps meet other hikers (but not too many), was just too tempting. And as they are not heated, the sleeping temperature is not a problem neither. What physical challenges did you encounter along the way? My feet were my limiting factor throughout most of the hike, and by the third week I was even concerned that they would not make it to the end. But after an extra resting day in a village, where I also got invited to the reindeer calf marking by the Sami people living there, my feet were considerably more happy, and after that I made sure to rest more often. So with patience and time, my feet could carry me longer every day. But throughout the whole hike they were often the reason why I decided to stop for the day. What mental challenges did you find along the way? The toughest part mentally, were those days when I was worried that my feet just wouldn't make it. Otherwise I must say that it was much easier than I thought it would be. Of course I was tired, wet, cold, hot, thirsty... but in a way that felt natural and the knowledge that as soon as I have pitched my tent I will be dry and reasonably clean again just made it easier to endure the physical challenges. The last days were tough in a different way. On the one hand I wanted to finish, mostly because it started to feel sad, to meet such fantastic people for only a few minutes, hours or a shared night in a cabin, and then continue in different directions. I felt that I connected to people very easily during the hike, so each goodbye was painful. On the other hand, I never wanted the hike to finish. I was content. I felt strong, and I knew that this experience was a unique one. Yes, I can hike far anytime I want, but this very hike, with all the experiences, people and feelings would never come back. It was a feeling of being heartbroken, just like breaking up from your first love. Did the hike change your thoughts or attitude about anything in particular? The hike both intensified and changed a lot. I have never really been afraid of change, but after the hike I tend to just accept sudden changes without even blinking. The hike really showed me how important it is to adapt to your surrounding - otherwise it will be a fight against elements and that is a fight I cannot win. Also I am more open to people. I am much less afraid to show up, show my vulnerabilities and get personal with people. During the hike, when you are alone for days and occasionally meet people in villages, other hikers in a remote hut or you get invited to stay over - the barrier that "city life" teaches us is of no use at all. You meet these people for 10 minutes, 2 hours or just an overnight stay, and suddenly you find yourself in a real conversation about weather (because it is important), hiking (because it is obvious), loneliness, dreams, life goals and passions. I took a lot of that with me. Can you tell me about the most spectacular scenery you encountered? (or even wildlife)? I did not see any of the big carnivores (bear, wolverine, lynx), although I am sure that a few bears saw me. Of course I saw reindeer throughout the whole hike and also on a few occasions I saw Elk. When it comes to scenery, the whole hike had beautiful parts, but different. In the north the mountains are more dramatic, the valleys narrower and the peaks higher, while it is more spacious in the south with softer mountains. Parts of the hike were also defined by swamps of various types, and also around 150km of roads. So there is not a 'most spectacular scenery', but there are countless moments and views. Would you do it again, and are you planning another hike yet? Before you left, you were living in Stockholm. Have you moved back or have you settled elsewhere? After I finished my hike I stayed four days with friends and then I flew back to Stockholm. I had three weeks before I had to go back to work and I needed those for acclimatization. I already had the feeling that changes would come, and I had a very strong belief that I will find out in due time what my next steps will be. After three weeks at work, I was offered a place to live and some part time work in a hotel in the northern part of Jämtland. I quit my job, rented out my apartment and not even two months later I moved in to a little village by the end of the road with 20 inhabitants. I am now combining various jobs connected to hotel and tourism with my photography. I earn significantly less than I did as an engineer in Stockholm, but it is surely enough to sustain a life up here where the next supermarket is 40km away and everything I love to do is for free. What the future will bring? I don't know, but I am looking forward to finding out! You can follow Anna's adventures on Instagram and also over on her blog.